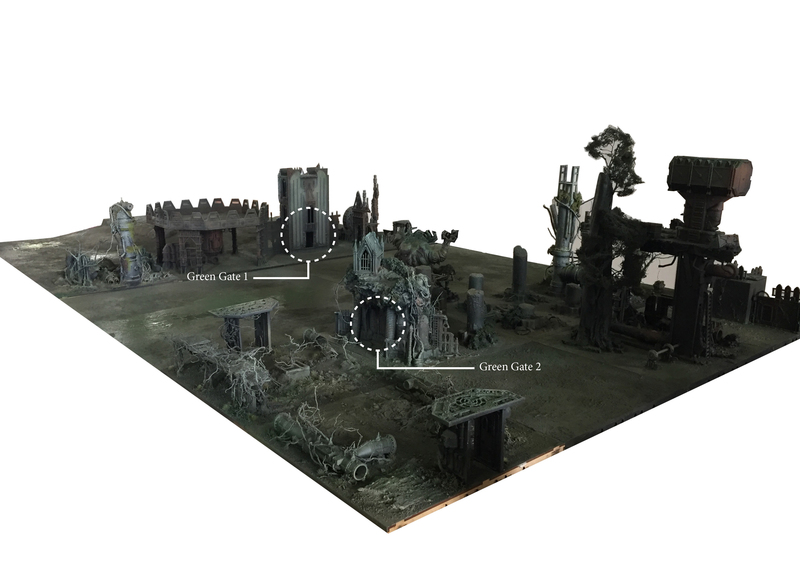 Anyway - having made the modular city terrain I kind of saw Mordheim all over the place, and I knew I needed to play something skirmishish (cool word eh?) in 40K. 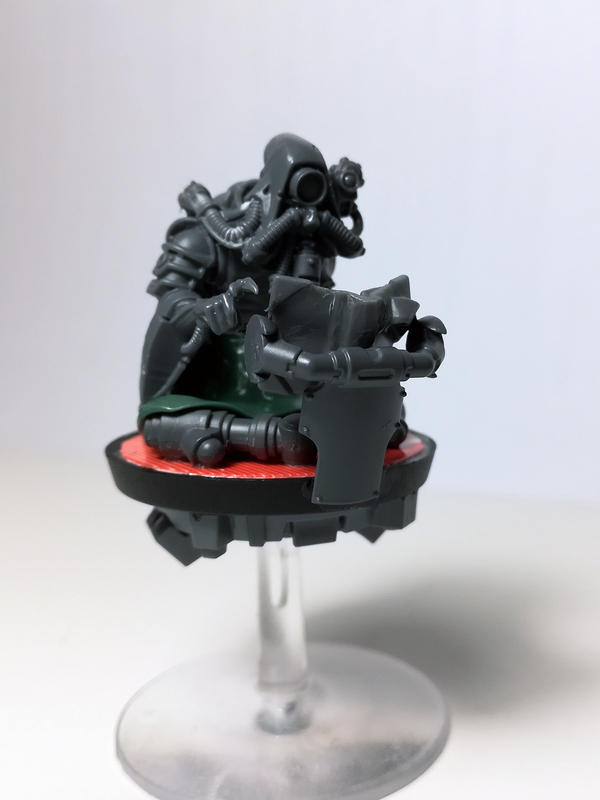 Looking through the Kill team rules, didn't really give me anything. Then I found Kill Zone - at the codexproject.com. Those are cool rules but again not quite what I was looking for. So I decided to cook up my own rule set. I've settled on the name Killing Ground - and work is still in progress for the rules them selves. Since the Mordheim rules appealed so much to me I decided they would be the foundation of the system. So much of it, is just that - tweaked to fit 40K. But I've also nicked a few bits from Necromunda and the above mentioned Kill Zone, and of cause a few bits of my own. Right now I'm working on the team selection rules, trying to figure out which restrictions would give the best and most balanced games. The rules can be downloaded following the link and hopefully the next version is not to far of in the future. Hopefully this should also give an opportunity to paint up a few more mechanicus models. Entering monasteries, churches and other places of worship, from countless religions all over the world has always filled me with the sensation that the priests who lived or worshipped here, surely had an insight or knowledge of secrets not comprehendible by the ordinary people. 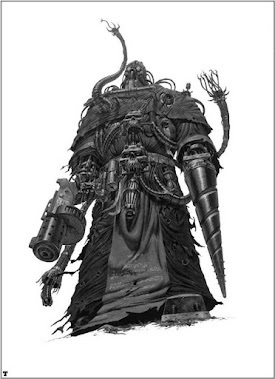 To me the Mechanicum has always had an aura of forbidden lore and unhealthy knowledge, combined with all the romanticism and secrecy about a monk’s life scouted in the darkest of ages. Tecnomonks fiercely guarding, what they believe is the only truth, doing so without regard for others’ lives, and if needed ready to push the boundaries for whatever has been acceptable by the human race. 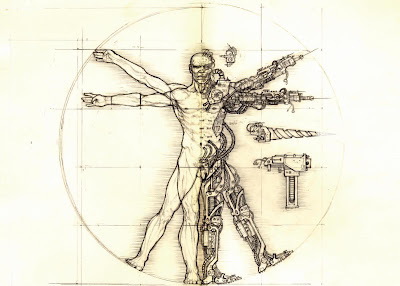 Darkcore, and always on the border of using forbidden tech and biomechanical experimentation. - so, welcome to Forge Mechanicus. Følg Ss opslagstavle Forgemechanicus.blogspot.com på Pinterest. Artis Opus: Series D: Brush Set The Rebirth of Dry-Brushing... Kickstarter! A small break from the little blue buggers. CosCon 2019 - Mini Mech - Ground Station Zebra! A box and two heroes. Helloween: Lord Of Skulls/ Imperial Knight Kitbash: It's NOT a Kytan damn you! Horus Heresy Blood Angels Infantry - Better Photos! 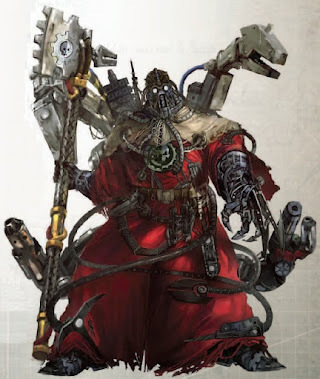 Official GW Adeptus Mechanicus models! Demo's Laser-Cut Designs LLC: Wargaming Store. 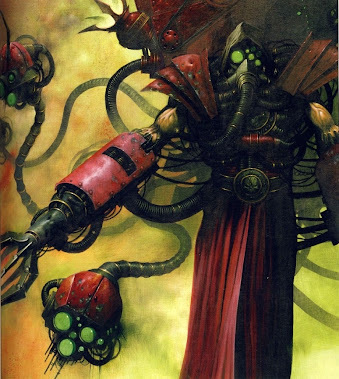 Always been more a converter and painter than a gamer, so what more appropriate than building a Mechanicus army. Here I get to make up every unit - every model even. Even though the games are few, I like to build my force around a codex. The best I've found so far is the Tempus Fugitive one; cool armylist, beautiful layout and excellent fluff. None of the artwork displayed here is my own, but beautiful pieces I've found browsing the web. It's used without permission and unfortionatly I do not have the names of the artists . Please consider it Kudos to you work that it's displayed her, but should you for some reason not want it displayed please contact me.